It’s a tradition: this year we made the Christmas mini-site, dedicated to our customers and friends. 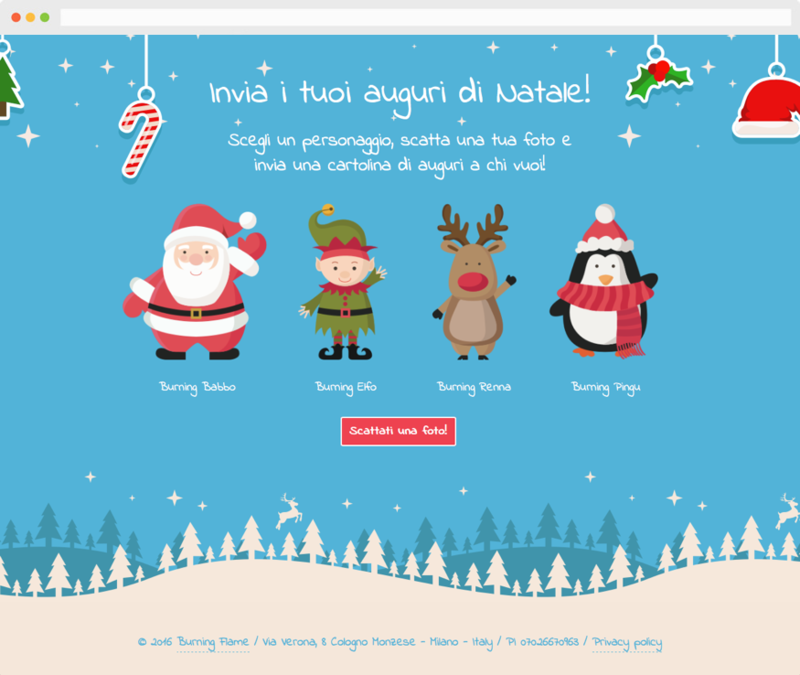 This year we decided to create a web app for sending Christmas cards via email. You can customize the card by inserting your own photo, placing it instead of the face of one of four cute characters: Santa, Elf, Reindeer, Pingu.